TB 500 is a relatively new and unique research chemical that has entered the market fairly recently. It was reportedly originally used in aiding the treatment of musculoskeletal issues in horses. It is an offshoot of the Thymosin Beta 4 substance, which is produced by the Thymus gland and is commonly found in fluid surrounding injured tissue. However, like many other items, it has begun to find a home among athletes, with many individuals using the TB 500 peptide for similar purposes in their regimes. But this can carry with it a significant amount of issues that should be looked at and taken into consideration before getting this drug. Firstly, many who are looking for the chemical will find it impossible to buy TB 500 from vendors such as pharmacies or medical facilities, and it will also be exceptionally difficult to acquire it from underground dealers. This is because the item has never been cleared for human use, much like some similar agents currently on the underground market. Secondly, there has been no research looking at the direct impact of this chemical in humans, and very limited research examining its effect on humans, so care should be taken when managing the expectations of this drug. However, there are a few guidelines and loose recommendations that can be given from the information available on how to use the Thymosin Beta 4 TB 500 item. These are discussed in further detail below. Knowing how to take each TB 500 injection is critical to reaping the greatest amount of reward from each administration. Fortunately, this item has a high degree of versatility when it comes to the route of administration. This means that it can reportedly be taken through intramuscular or subcutaneous routes. However, as a general rule, intramuscular injections generally have a faster action and an overall better bioavailability than their subcutaneous routes. So, it may be more beneficial to take TB 500 through intramuscular injections. Each injection should also be mixed with either sterile or bacteriostatic water before administration. This is done to protect you from getting infections from any bacteria that can be present in ordinary water or fluids. These can be taken through popular injection sites such as the side shoulder, in the lateral deltoid muscle, or in the buttocks in the gluteal muscle group. These sites should also be rotated to prevent issues like excessive soreness or a higher chance of injection site infections. 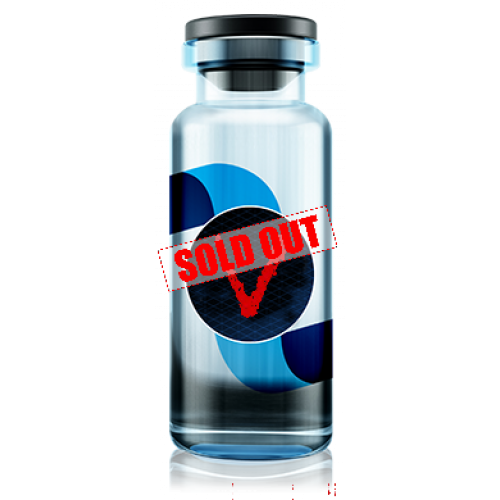 In terms of TB 500 peptide dosage, there are no clear guidelines available due to the scarcity of research on both humans and animal subjects. So, the doses given would be based on anecdotal evidence from the use of previous athletes. Firstly, there is a loading phase, where higher doses and frequencies of administration are used, with a 2 to 2.5-milligram dose is taken 2 to 3 times per week for a period of 4 to 6 weeks. This is then followed by maintenance doses of TB 500, which entails taking an identical 2 to 2.5-milligram dose once per month. Much like with the potential uses or perks that could be afforded to athletes who are taking this item, the lack of scientific research also makes it extremely tough to ascertain what, if any, negative effects of TB 500 exist. This makes it difficult to clearly outline any potential side effects of TB 500 that the user could incur, as well as at what doses to consider and over what time periods each of these events could occur. However, it should be mentioned that the parent compound of the TB 500 peptide is not only found in fluid surrounding injury but in cancer as well. But, this is a far cry from evidence that it may cause such an illness. So, while caution should always be taken when using these chemicals, more research is currently needed to find out if there are any unwanted events that are associated with the use of this drug. But, if any adverse events to appear during use, reducing the dose or stopping its use should occur immediately, along with consulting a qualified medical professional.